" . 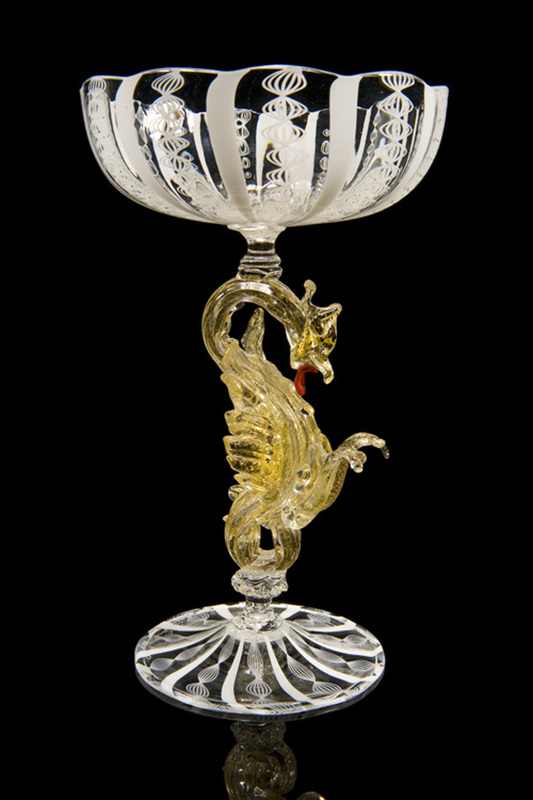 . . he is recognized for combining perfect craftsmanship and glorious tradition with an intelligent and advanced vision for glass—his own, Murano's, and beyond." "The goblet is to the glassblower what the teapot is the ceramist—the embodiment of almost every challenge." In 1979, at age 45, Lino Tagliapietra was the second Italian glass maestro invited to the Pilchuck Glass School in Stanwood, Washington for a Visiting Artist residency. 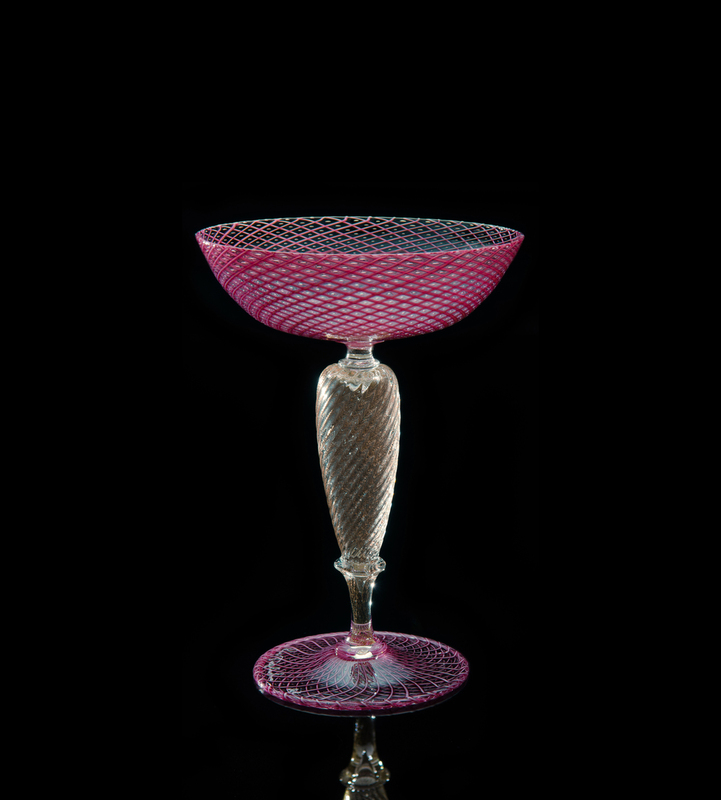 Thus began an international exchange between the pioneers of the Studio Glass movement and one of the most important figures to hail from the dynastic island of Murano. During the summers of the 1980s and 1990s, Lino's home-away-from-home was Seattle, where he was welcomed into American hot shops as teacher and colleague. 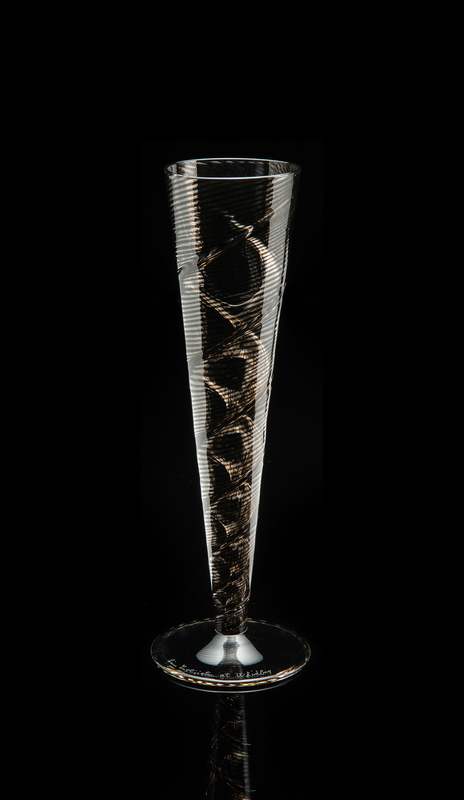 The Tagliapietra goblets in The George R. Stroemple Collection are evidence of the artist's bravura with a blowpipe. 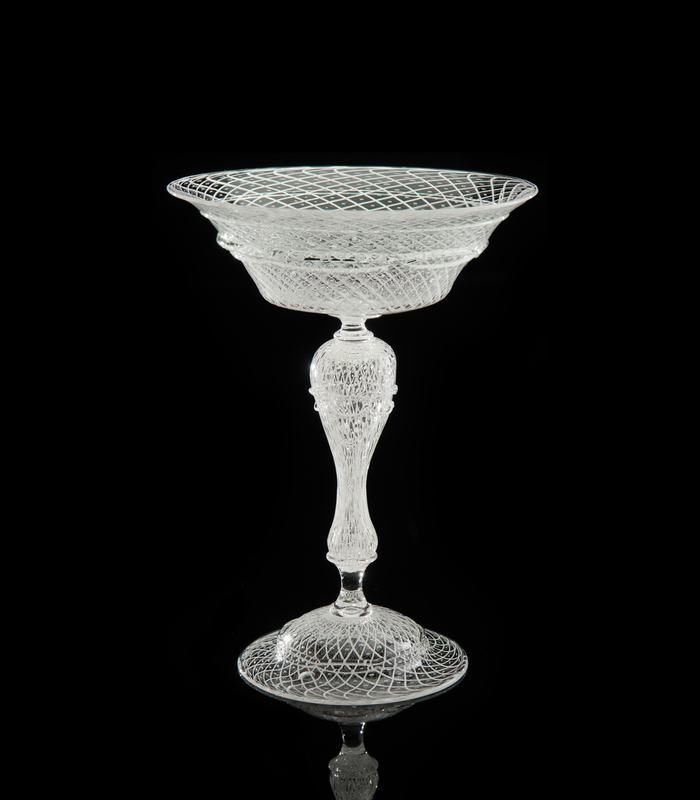 Among the goblets is a virtual lexicon of traditional Venetian glassblowing techniques: filigrana, murrine, incalmo, reticello, pulegoso. Seen together, they form a kaleidoscopic fantasy of color and form. 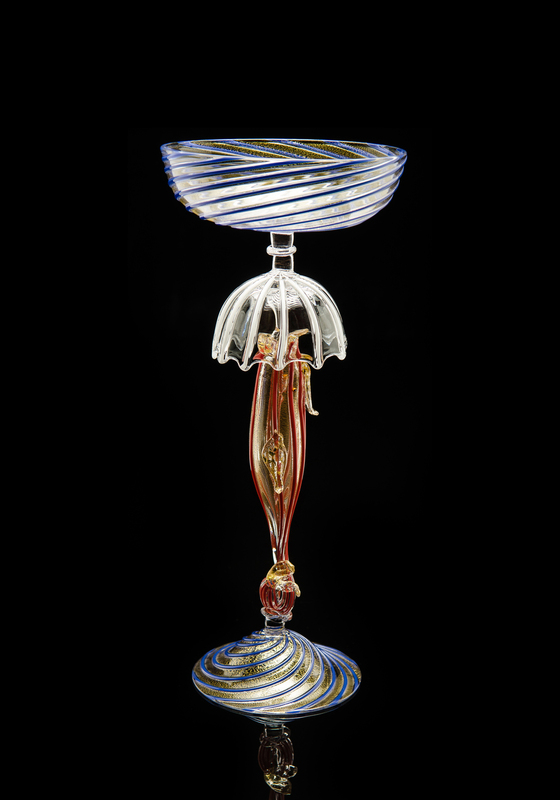 Tagliapietra went on to work with Dale Chihuly as gaffer. All of the Putti Venetians and Piccolo Venetians in the Stroemple Collection were made by Tagliapietra. 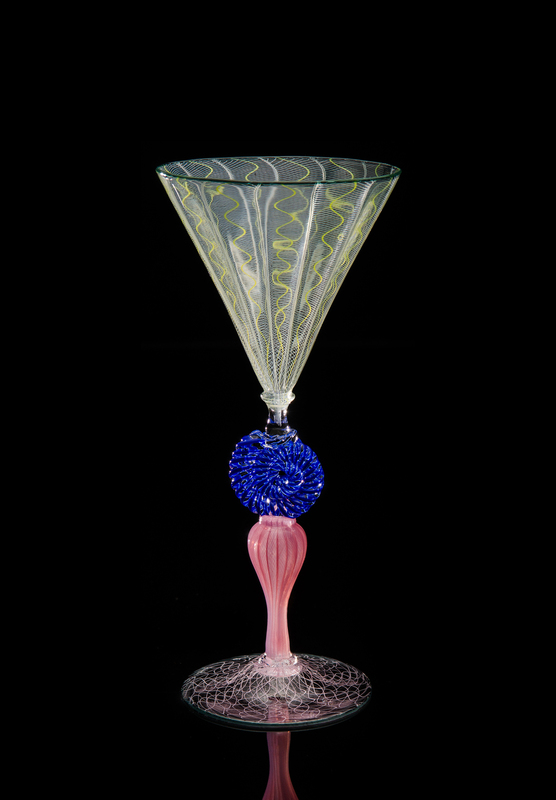 The exuberant coils, applied hot-formed sculptures, and dazzling colors associated with Chihuly's Venetians can be traced back to traditional Venetian forms such as Tagliapietra's goblets. 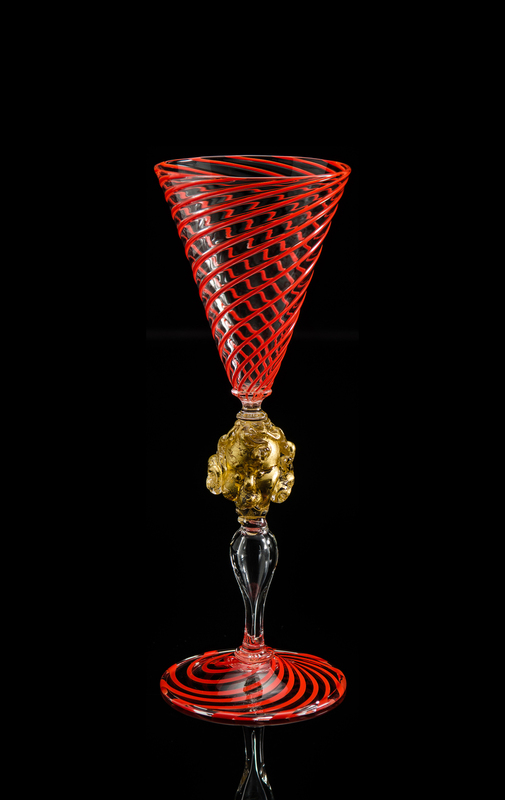 Tagliapietra has since become one of the most important and influential glass artists of the Studio Glass movement.